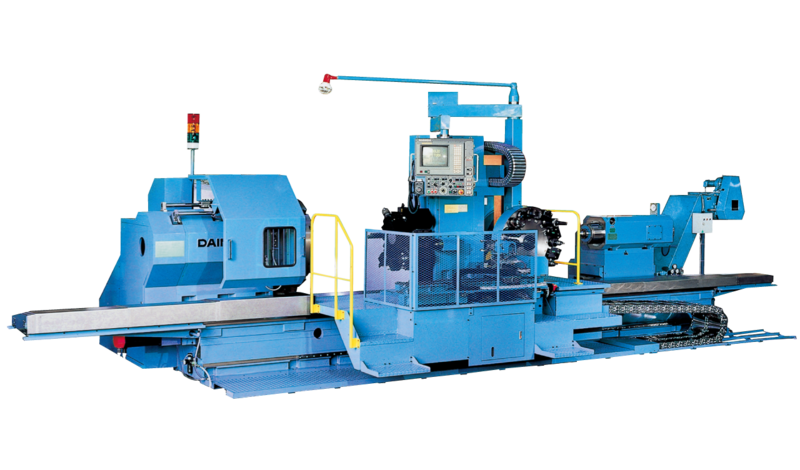 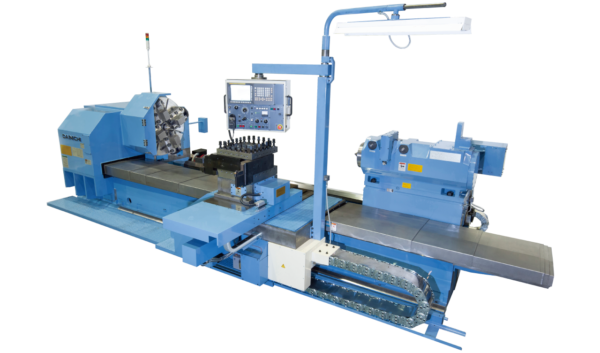 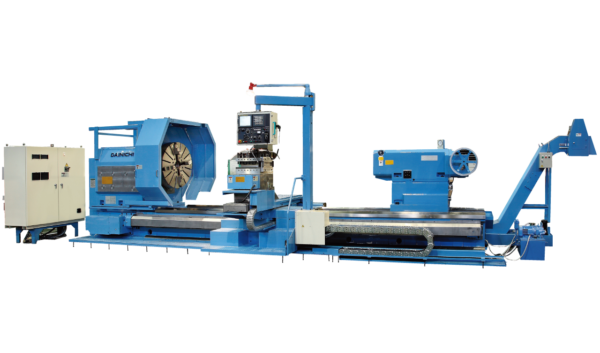 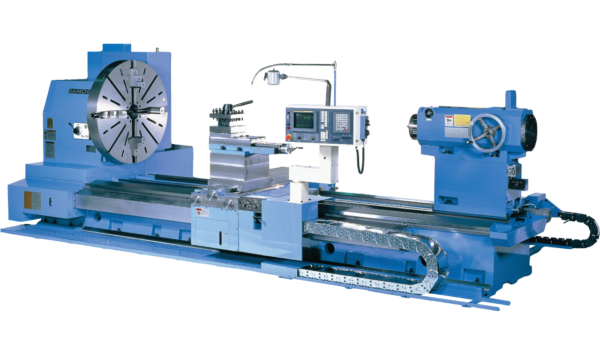 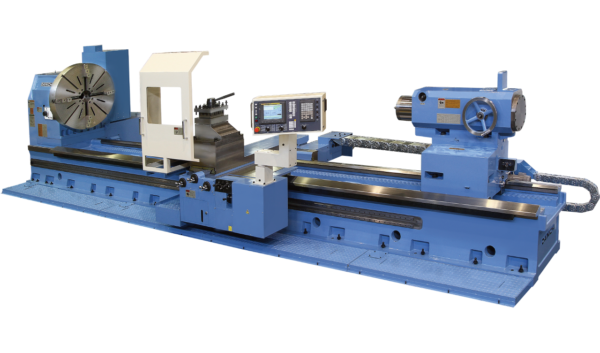 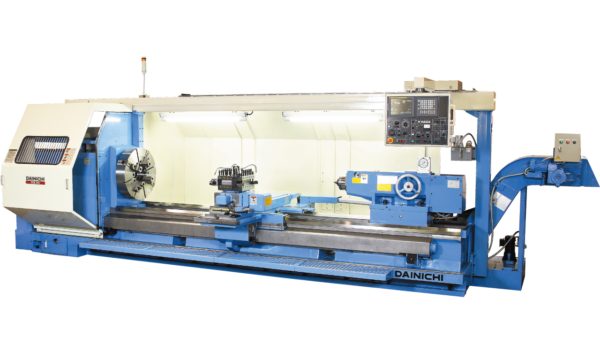 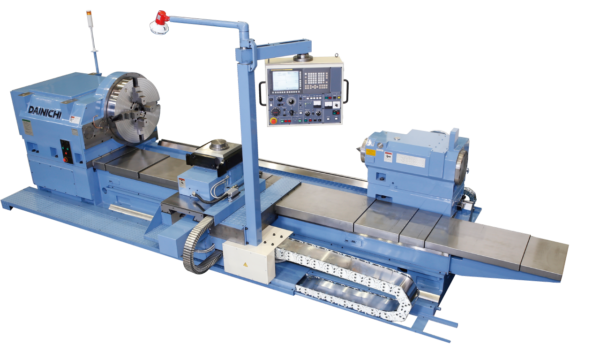 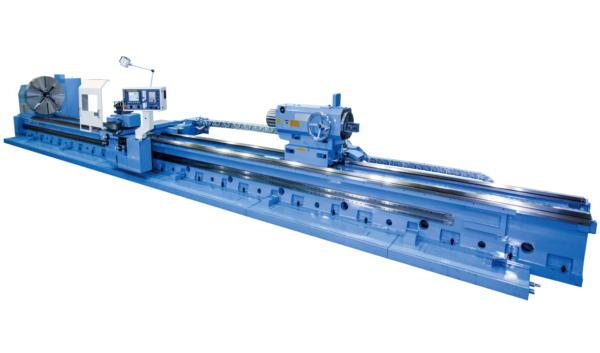 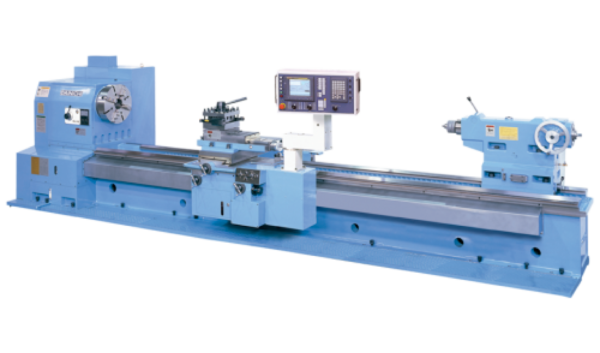 This is a full-fledged large composite CNC lathe that enables follow-up secondary machining processes, such as drilling, tapping, milling, end milling and other processes which match the machining requirements after lathe turning large components. 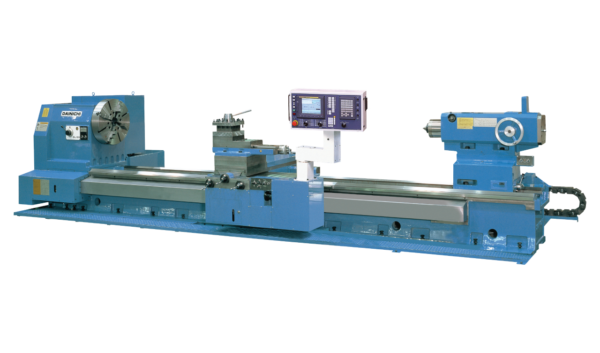 Features a highly rigid integrated chip flow bed with a broad bed width of 1,300 mm and a deep sliding surface across its entire length with a level degree of hardening. 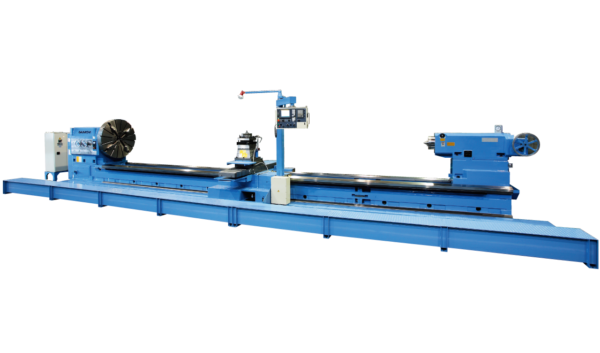 Its squared guiding surface allows for deep cutting and an unwavering level of precision. 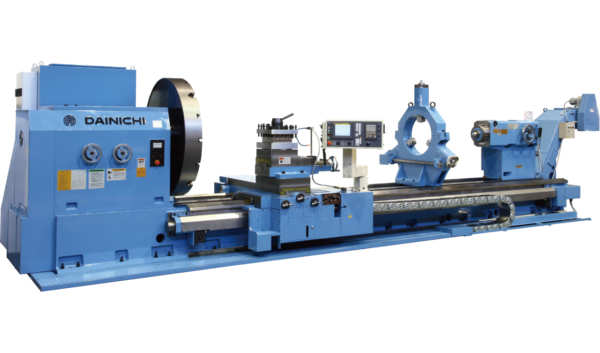 A large curvic coupling is used for the standard cutter holder, providing a 420 mm square, 4-station turret. 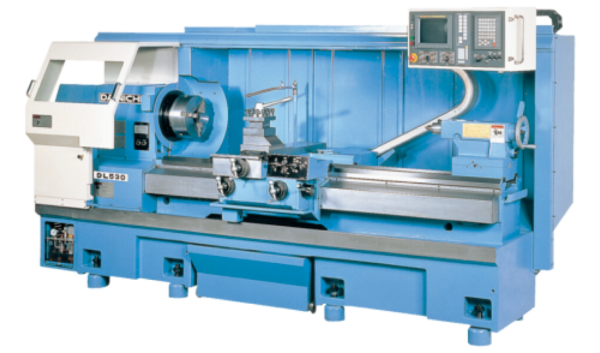 Various other optional extras are on offer in response to a broad range of customer needs. 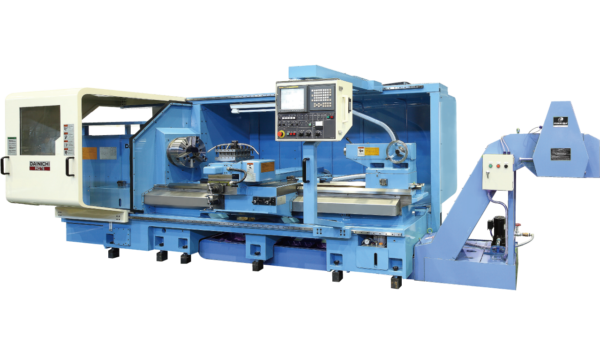 The carriage features both a headstock and a tailstock passage-type configuration, allowing for dual saddle setups. 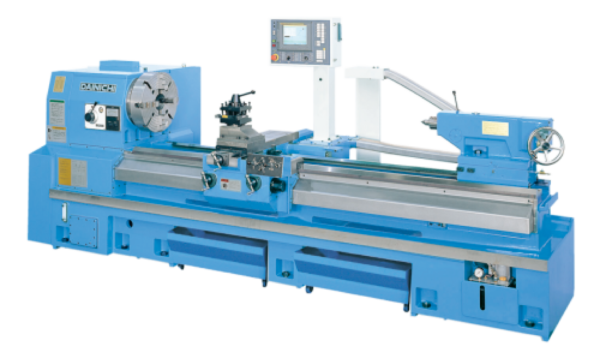 Automatic tailstock base clamping and automatic retreat prevention gripper set functions are provided, alleviating worker load when retooling. 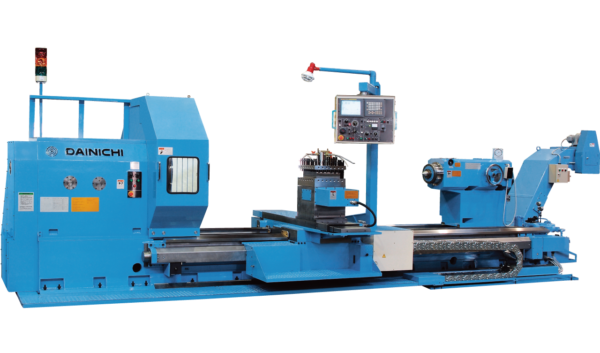 A pressurized lubrication system is used for the saddle, and a protective cover is used for the saddle sliding surface, ensuring that a high level of precision is maintained even after extended use.